FGM rates in east Africa drop from 71% to 8% in 20 years. An incredible achievement for anti-FGM campaigners. Here's my weekly contribution to boost positive journalism: The rate of Female Genital Mutilation (FGM) in East Africa has plummeted over the last 20 years from 71% to 8%. Good news: rates of Female Genital Mutilation in east Africa have dropped from 71% to 8% in 20 years. Let's hope FGM will soon suffer the same fate as slavery & human sacrifice. Let's also hope cultural relativism will be obliterated along with it. A new @GlobalHealthBMJ study finds that #FGM in East Africa has dropped from 71% to 8%. Despite progress, the number of girls and women facing mutilation could still rise with population growth. Why ⬆️ support is needed for women & girls facing FGM. Need some good news? Prevalence of #FGM among girls aged 14 and under in east Africa has dropped from 71.4% in 1995, to 8% in 2016, acc to @GlobalHealthBMJ. Good news. Still much work to be done. Good news: rates of Female Genital Mutilation in east Africa have dropped from 71% to 8% in 20 years. Let's hope FGM will befall the same fate as slavery & human sacrifice. Let's also hope cultural relativism will be obliterated along with it. 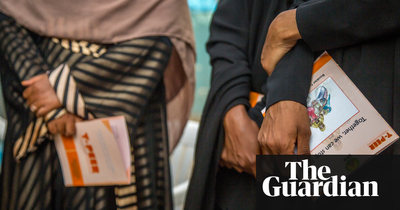 Great news: "the number of girls undergoing female genital mutilation has fallen dramatically in east Africa over the past two decades"